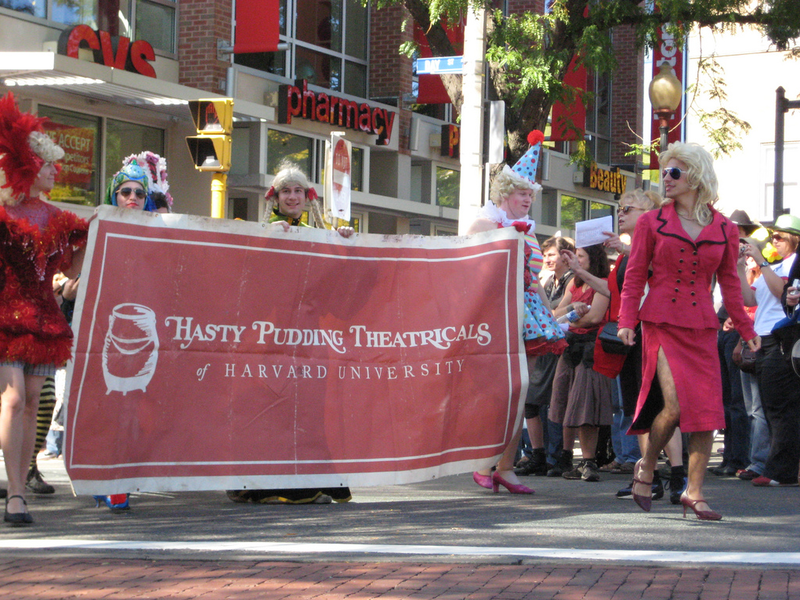 The Hasty Pudding Theatricals parading around Cambridge, Massachusetts. The Hasty Pudding Theatricals, a branch of the Hasty Pudding Institute of 1770, is one of the oldest theater organizations in the world, and is committed to continuing a long tradition of free expression in the arts. The Hasty Pudding Institute, of which it is a part of, is a Harvard University organization that also oversees the Hasty Pudding Club and the Harvard Krokodiles. The Hasty Pudding Theatricals recently held its annual Man and Woman of the Year Awards, two star-studded, entertaining events of dramaturgical proportions. 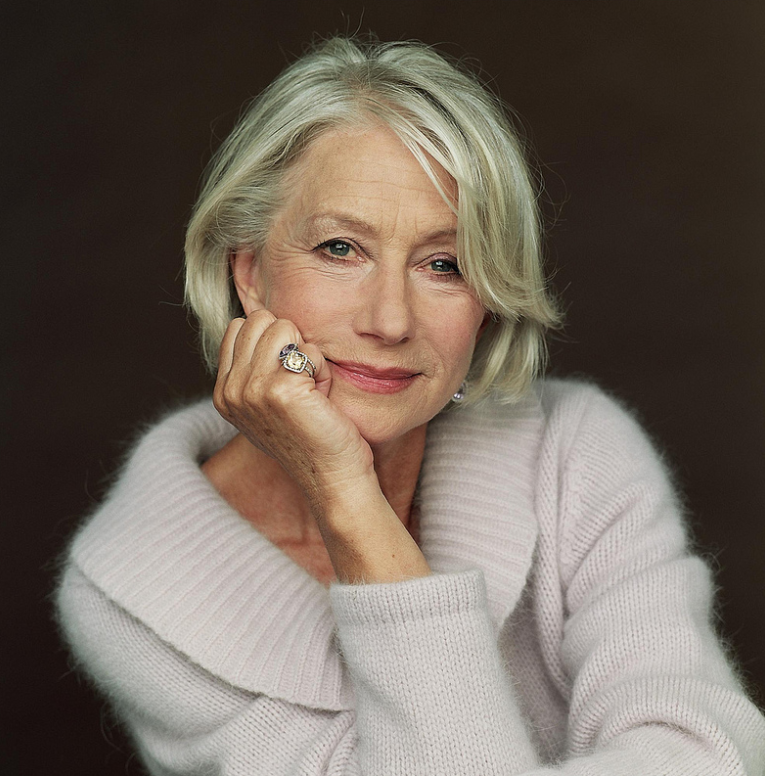 Helen Mirren was recently honored with the Hasty Pudding Theatricals’ 2014 Woman of the Year award. According to the theater group, “Every year, the Hasty Pudding Theatricals bestows the Man of the Year and Woman of the Year awards on performers who have made lasting and impressive contributions to the world of entertainment.” This annual tradition is received with great pleasure and honor by the awardees, who are in rather good company with past award recipients. The Woman of the Year award dates back to 1951 when the Hasty Pudding Theatricals honored Gertrude Lawrence. Since then, recipients of the award have included entertainers as iconic as Elizabeth Taylor, Julie Andrews, Meryl Streep, Sandra Bullock, Halle Berry, and Claire Danes. The Man of the Year Award began in 1967 when the Theatricals first awarded Bob Hope. Other honorary Hasty Pudding Men of the Year include Sean Connery, Tom Hanks, Robert De Niro, and James Franco, among dozens of others. 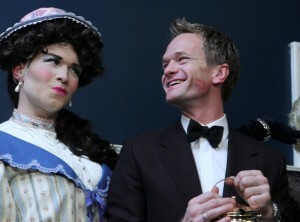 Neil Patrick Harris in good spirits at the Man of the Year awards ceremony. Another outlandish award that the Hasty Pudding Institute bestows annually is the “Order of the Golden Sphinx,” which went to acclaimed Hollywood producer David Heyman this year. A night full of theatrical performances, philanthropic efforts, and some of the biggest names in entertainment and humanitarianism, commemorated Heyman’s win. Guests in attendance included Neil Patrick Harris, Mo Rocca, Courtney B. Vance, Daniel Loeb, and Master of Ceremonies Andrew L. Farkas. Learn more about the colorful, unique history of the Hasty Pudding Institute and all of its branches by visiting its official website at www.hastypudding.org.